There’s something everyone wants more of, nope, not money. Time! We’re constantly in a struggle to fit work, family, friends, sleep and a truckload of other stuff into a measly 24-hour day. Most of the time, we fail miserably and end up having to make some sacrifices here and there. But whatever sacrifices you make, you should never skimp on treating yourself to a good, nutritious meal. 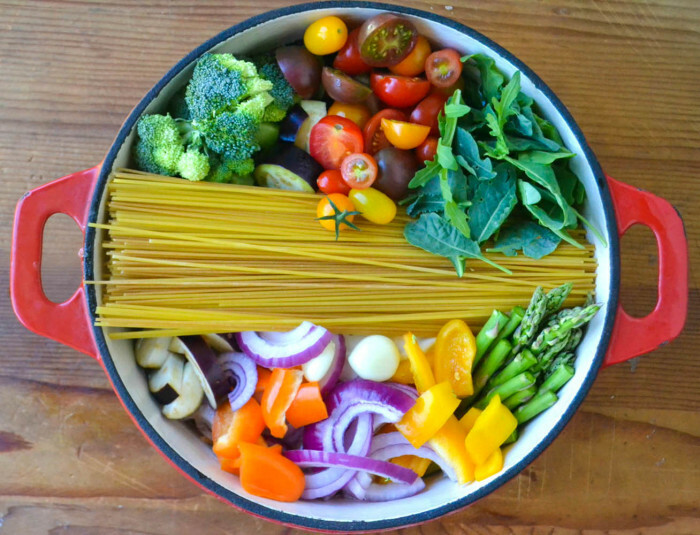 If you have always despised home cooking thanks to all the dishes and time you spend to cook up one dish, this list of awesome one pot pastas will help you view cooking in a whole new light. All you’ll need is a large pot (and we mean LARGE), a chopping board, some wholegrain pasta (because that’s always better for you), and a good helping of enthusiasm. In 30 minutes, you’ll have whipped up a meal for 4-6, with leftovers for lunch the next day! 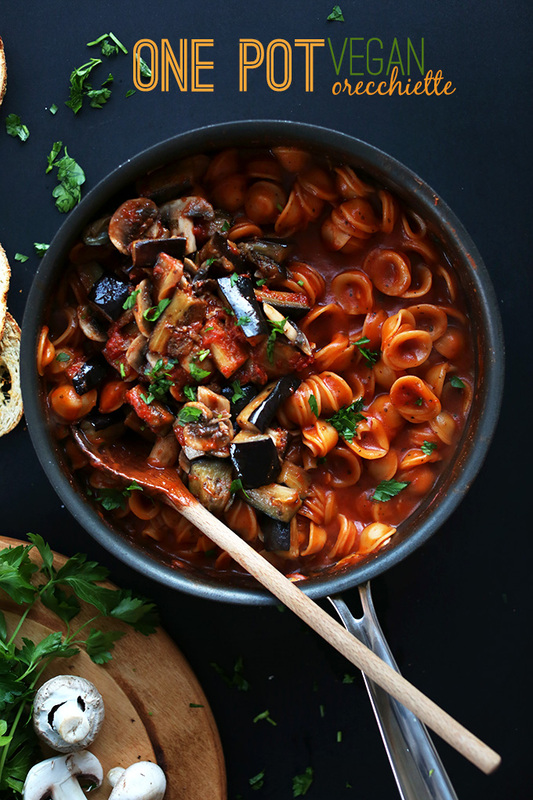 With oodles of veggies like mushrooms, eggplant, and fresh parsley, this tomato-based pasta will leave you feeling full without bloating you up. It’s vegan but you can always customise it to your liking by adding some fresh chicken, beef or even seafood! Get recipe here. Kicking off with bok choy, green onions, dried shiitake mushrooms and garlic, this pasta is perfect for the rainy nights at home. The recipe uses rotisserie chicken (yay, less cooking! 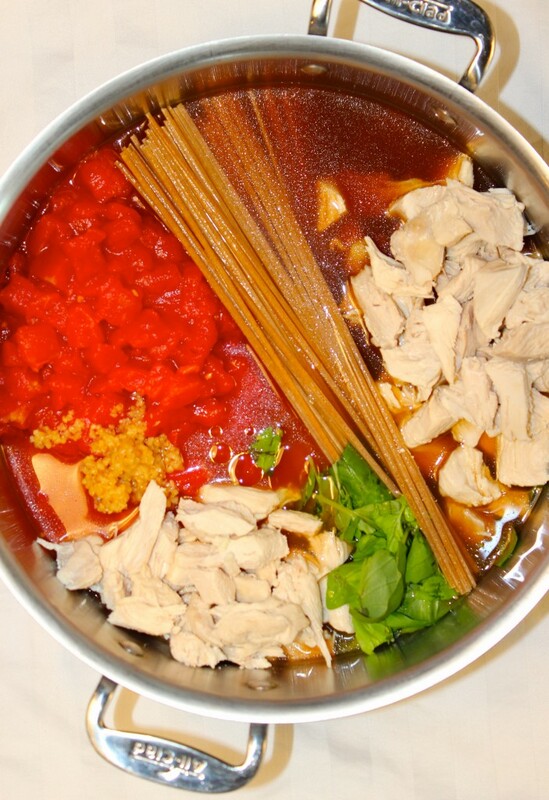 ), but you can also marinade some slices of meat yourself and drop them into the pot. They’ll cook just as well. Get recipe here. This pasta pot is jam packed with flavour from the diced onions, peppers, garlic, as well as fragrant spices like cumin and chili powder. 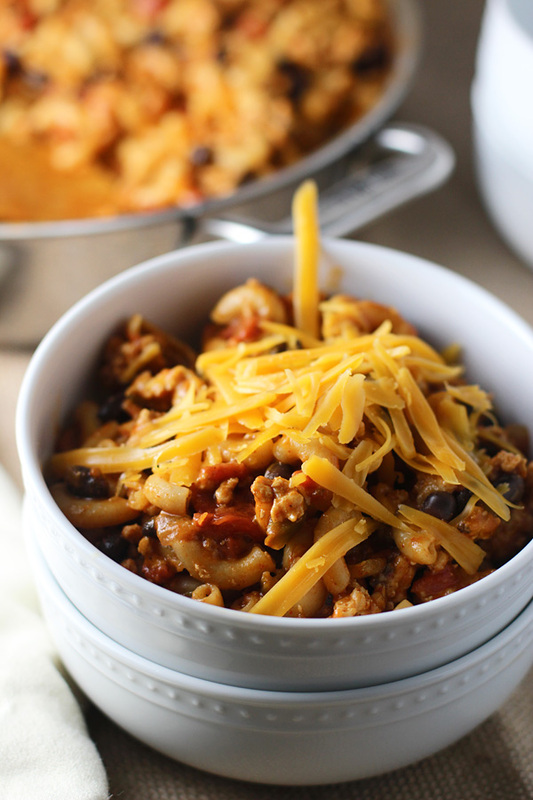 Canned tomatoes make it a quick and easy recipe while black beans and cheese give it some delicious substance. Get recipe here. This is a well-loved classic one pot recipe from Martha Stewart Living that’s been adapted time and time again by time-strapped individuals like you and I. It has all the goodness of a flavourful pasta, but is also super simple. All you need are tomatoes, basil, onion, garlic, salt, pepper, extra virgin olive oil and some parmesan cheese to top it all off. Get recipe here. 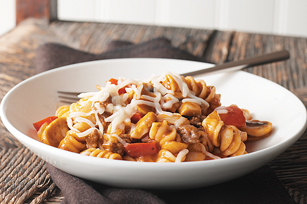 If you’re looking for a bolognese-style pasta but don’t want to go through all the hassle actually cooking up the bolognese, this is quite a good stand-in. Lean ground beef (you can always subtitute it with chicken or turkey), chopped onions, fresh mushrooms and red pepper along with a jar of spaghetti sauce make up the base of the pasta dish. We suggest substituting some of the sauce with fresh halved cherry tomatoes to give more bite to the dish. Get recipe here. 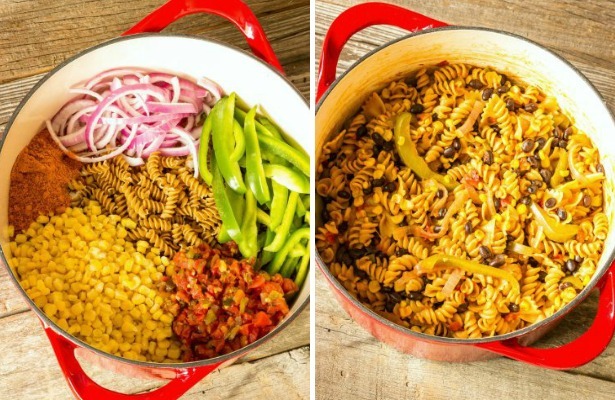 Tex-Mex lovers will adore this quick and easy pasta, featuring taco seasoning, canned tomatoes and chilies, as well as black beans, corn, bell peppers and onions. The result? 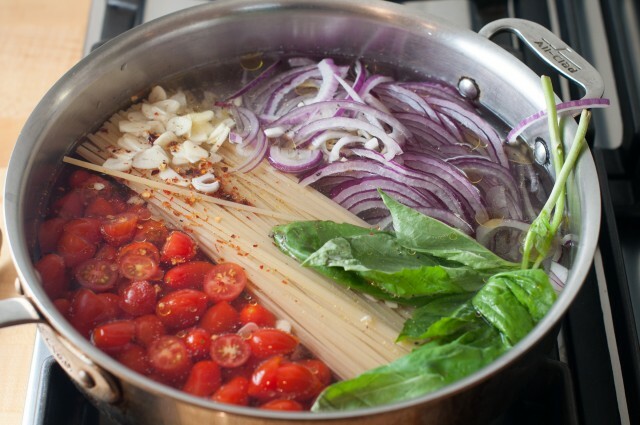 A satisfying pot of pasta that comes with a kick. Add in some spinach for a vitamin and fibre boost! Get recipe here. 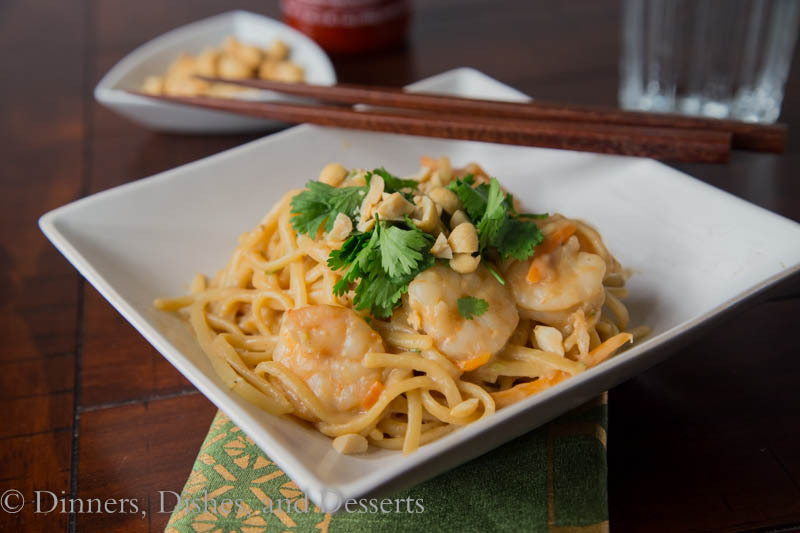 This is an American take on our favourite Chinese noodle. 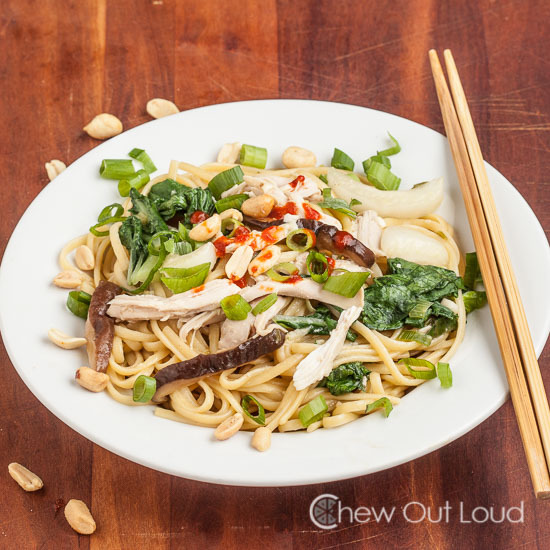 While the recipe yields a creamy noodle that that’s very slurp-worthy, we suggest adding in some typical Chinese sauces of your choice (maybe a bit of oyster sauce and dark soy sauce?) 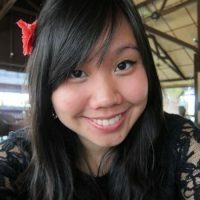 to make it more Malaysian. 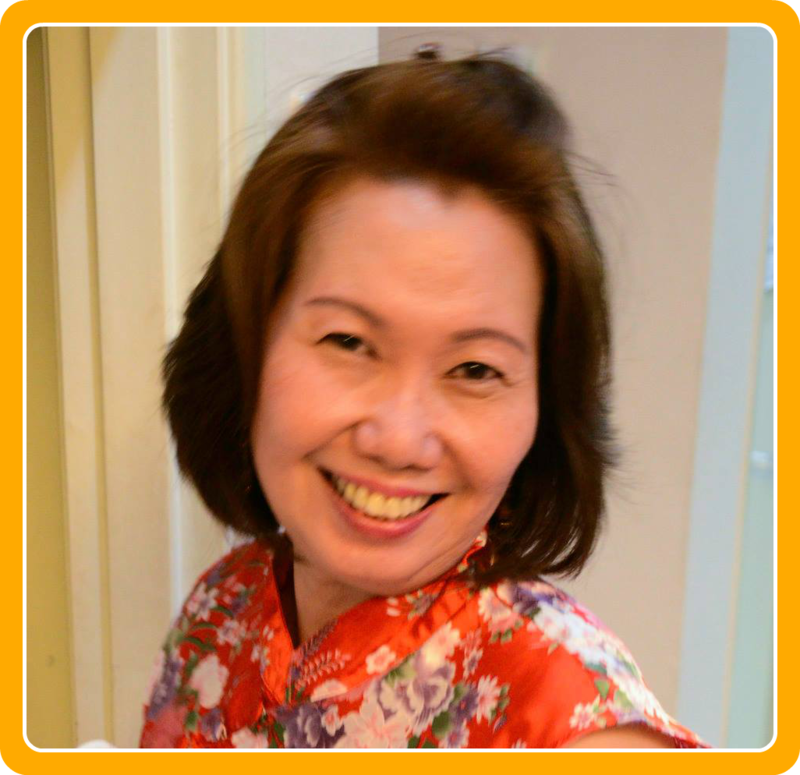 The recipe includes carrots, bell peppers, green onions, and garlic, but you could also add on some green leafy veggies like kailan, shiitake mushrooms, taugeh etc. Get recipe here. Pumpkin, oh so sweet and satisfying, yet so healthy and low in glycemic index. 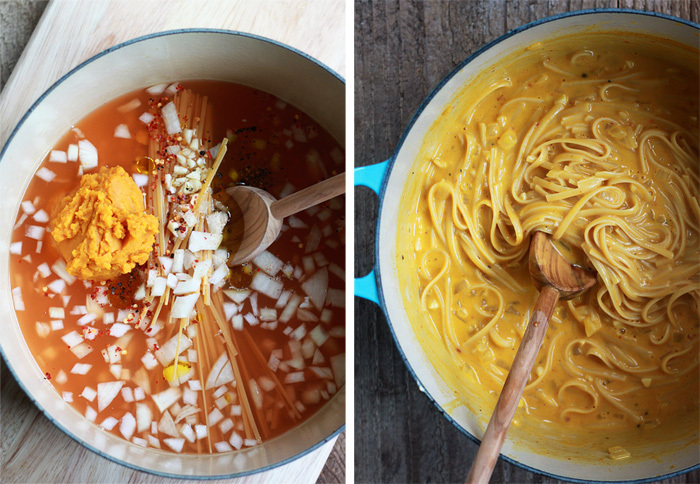 This pasta calls for pumpkin puree, which is a bit more work than throwing everything in a pot as you will still need to steam / boil the pumpkin, then puree it. But trust us, it is worth the extra minutes. The end result is a creamy, sweet and savoury dish that’ll have you coming back for seconds (but don’t give in to your cravings, pack it for lunch the next day instead!) Get recipe here. Looking for comfort food that’s also nutritious? This pasta is the answer! 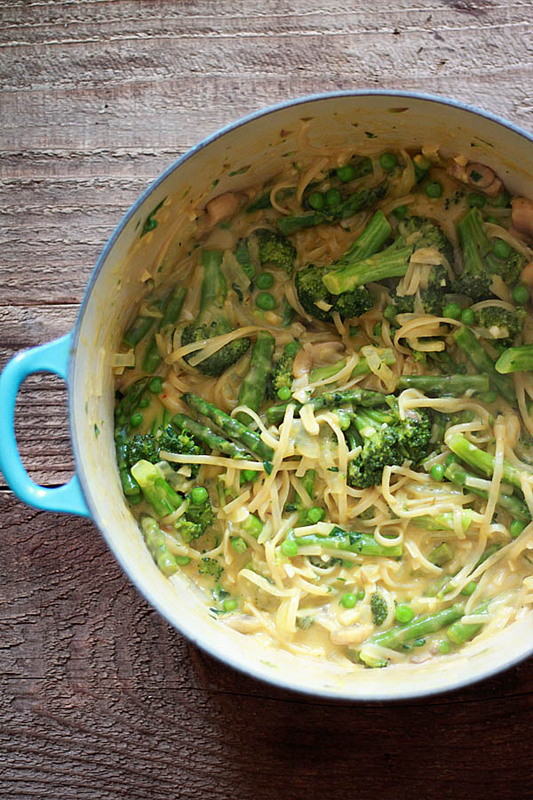 It’s delectably creamy, but at the same time crunchy thanks to all the broccoli, peas, and asparagus. The recipe is fully vegetarian, but you can always add some fried bacon onto it, of chicken chunks if you can’t live without meat. Get recipe here. 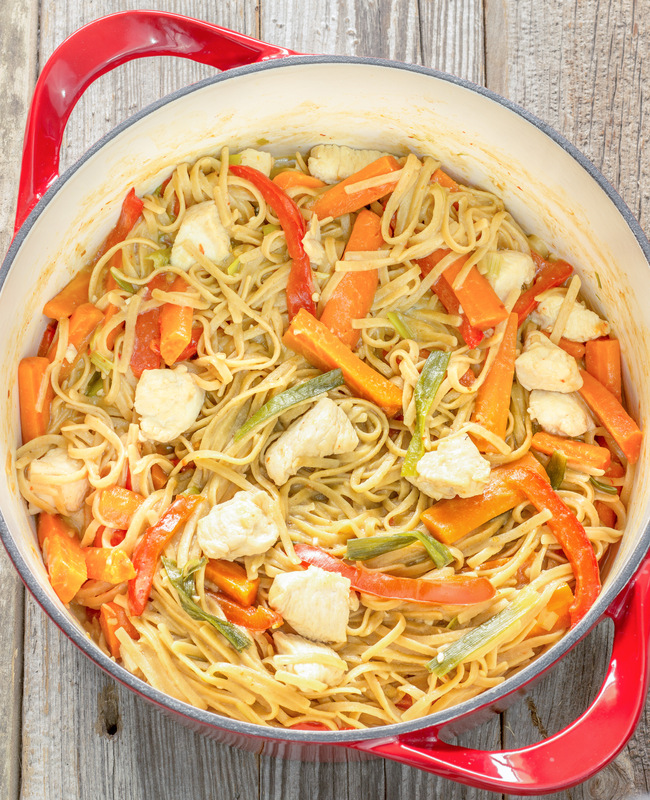 This recipe calls for egg noodles, but you can definitely use a wholegrain short pasta of your choice. We’d go with fusili because the shape soaks up the most flavour. Yums. The lemon juice and crème fraîche complements the tuna and peas really well for some creamy, tangy comfort food that’s not overly filling. Get recipe here. 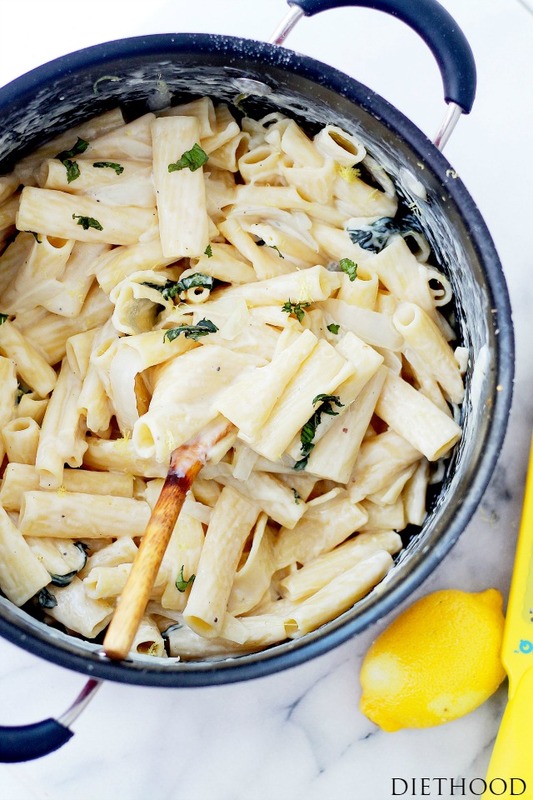 Instead of water, this pasta is cooked in milk, which creates a creamy sauce without using any cream or thickeners! 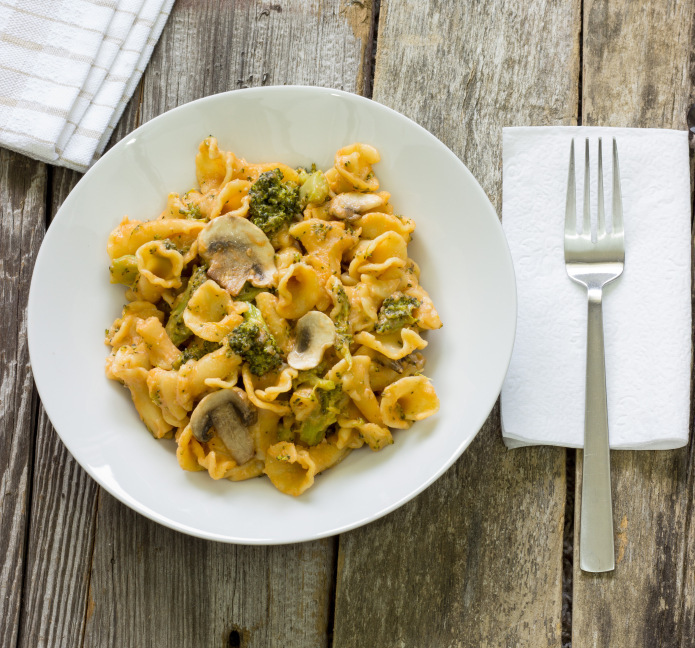 You’ll be getting your share of fibre and vitamins thanks to the load of broccoli and mushrooms, while the can of tomato pasta sauce adds some lovely flavour. Get recipe here. 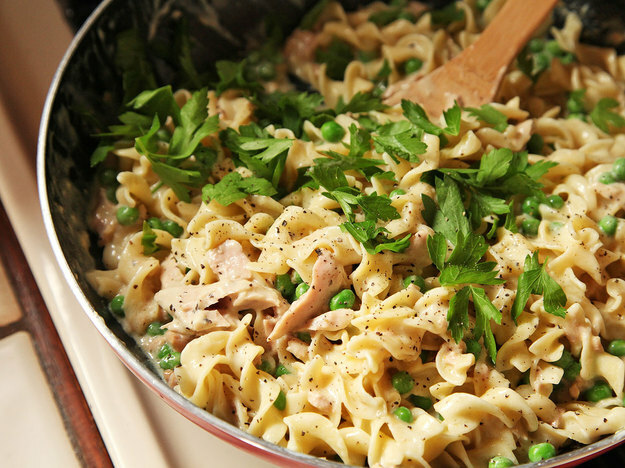 This creamy, peanutty pasta takes about 20 mins from prep to table. While the recipe itself is great, we suggest substituting the peanut butter with your own homemade peanut butter or one without any added sugar. It could use with more veggies as well, so don’t be shy about adding in some oyster mushrooms, chopped up baby corn, onions, as well as some long beans. Get recipe here. 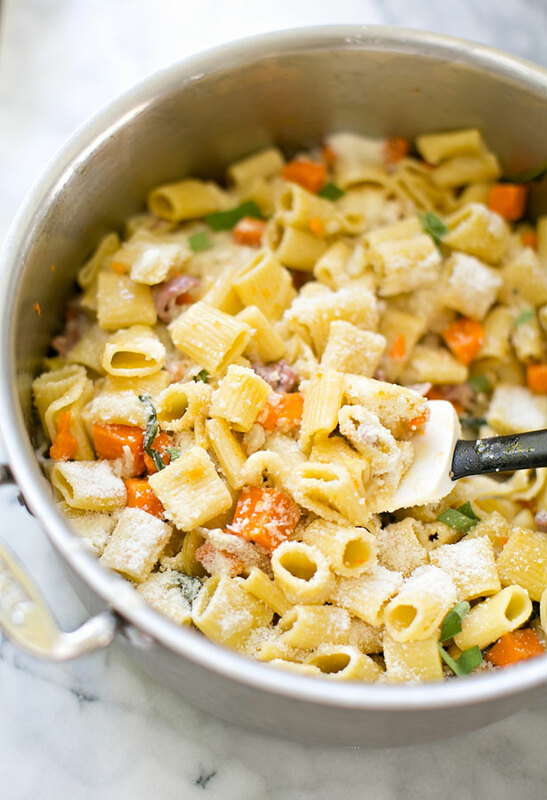 A pasta that calls for sweet potatoes, shallots, sage as well as bacon is just yum in a pot! The flavours combine really well but you could also add in some chopped carrots, broccoli and other veggies to make this a more wholesome dish. Get recipe here. 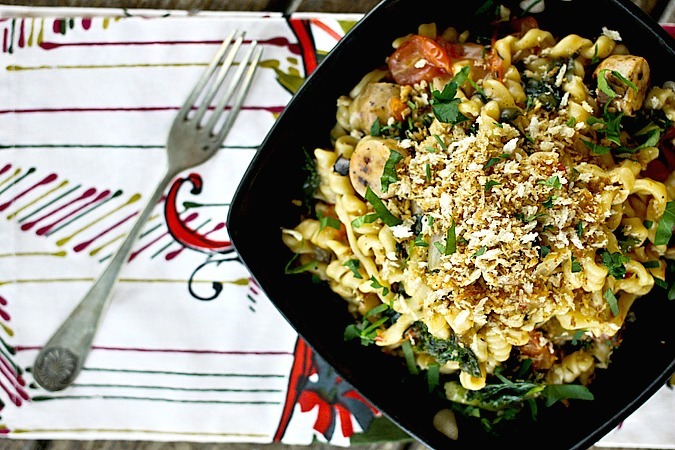 This is a flavourful pasta featuring a bunch of veggies from shiitake mushrooms, onions, cherry tomatoes, to kale. If you can’t seem to find kale in the supermarket, you can always substitute it with baby spinach or even kangkung! If you don’t like freshly made chicken sausages, you can always go for well-marinated chicken breast chunks. It’s all super customisable. We suggest skipping the breadcrumb topping (you don’t really need it). Get recipe here. 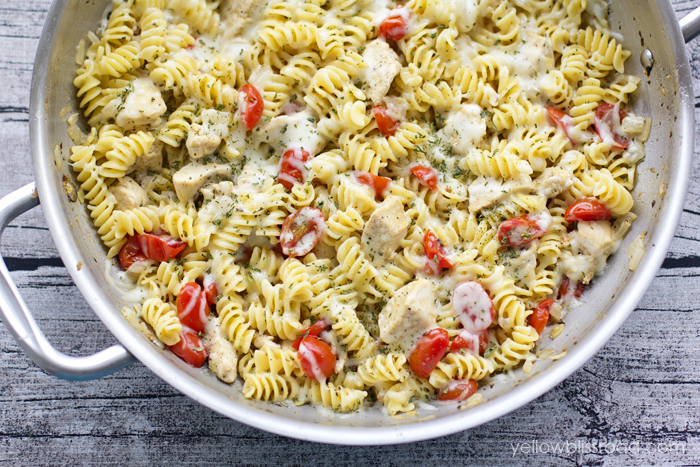 If you have leftover chicken lying around, you could whip up this pasta in no time at all! Basil, balsamic vinegar and canned diced tomatoes give the pasta lovely flavour that you’ll be slurping up alongside the fresh mozarella! Get recipe here. The name is already a giveaway to how many types of veggies actually make it to this dish.You’ll be munching on eggplants, onions, asparagus, broccoli, cherry tomatoes, bell peppers, as well as leafy greens. Have this on a day where you’re feeling particularly unhealthy and you’ll feel much better after. Get recipe here. This recipe uses not one, not two, but THREE types of cheese, as well as basil, parsley, lemon juice and lemon zest. It’s a great recipe for a cheat day, but you probably shouldn’t be downing plate after plate of this. Add in some baby spinach for some greens, and some chicken breast chunks for protein! Get recipe here. This recipe calls for coconut milk, which some people believe is bad for you due to its high fat content, but this is debatable. 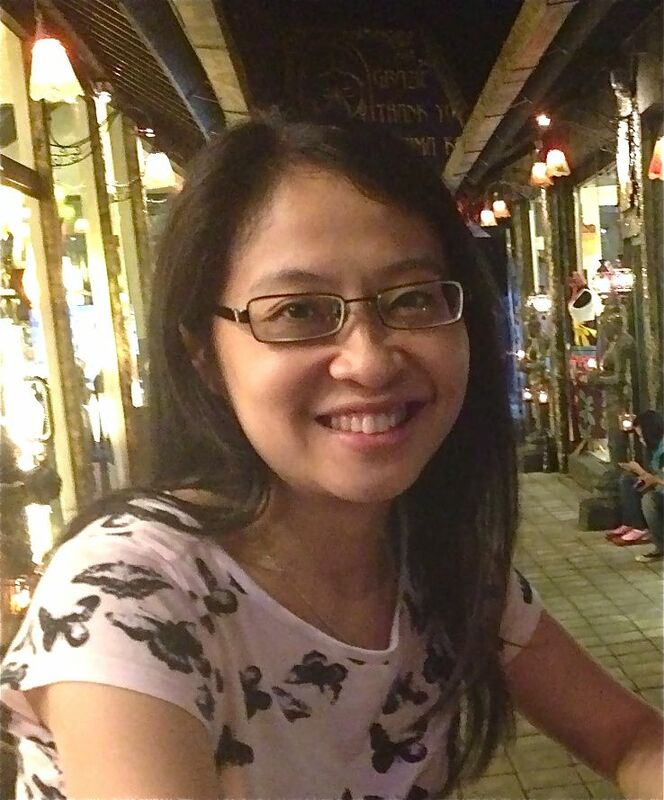 The fat of coconut milk is in the form of medium chain saturated fatty acids (MCFAs), which is easily broken down and burned by your body as fuel and less likely to be stored as fat. Go for the fresh coconut milk sold in the market instead of the canned ones for the best flavour. Get recipe here. Judging from the ingredients, you might think that this recipe will result in a bland and blah dish with lots of unwanted leftovers, but it’s surprisingly delectable. 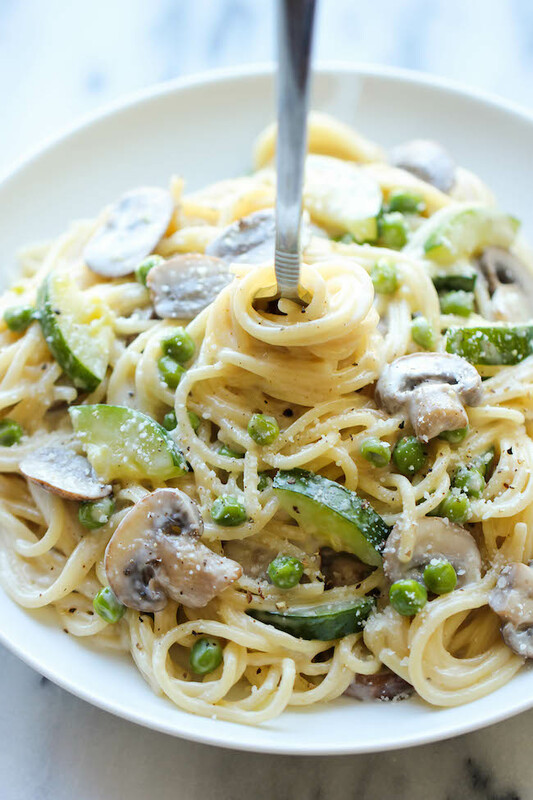 The mushrooms and peas are sweet and juicy while the zucchini adds some crunch to the dish. Thyme, garlic, grated parmesan and heavy cream completes the dish with a burst of flavour. Get recipe here. Serve up this gorgeous pasta for a weeknight dinner and your family / friends / partner will definitely be slurping it up. 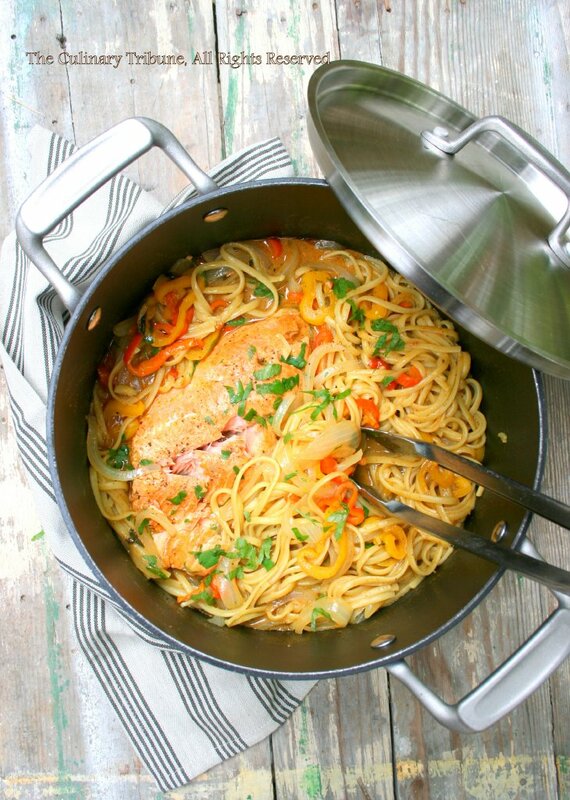 The chicken is flavourful because it gets sauteed first before you pile on all the other ingredients while the tomatoes and lemon juice make this pasta dish tantalisingly tangy. Get recipe here.